We use a lot of Hebrew at camp, and we do this intentionally. 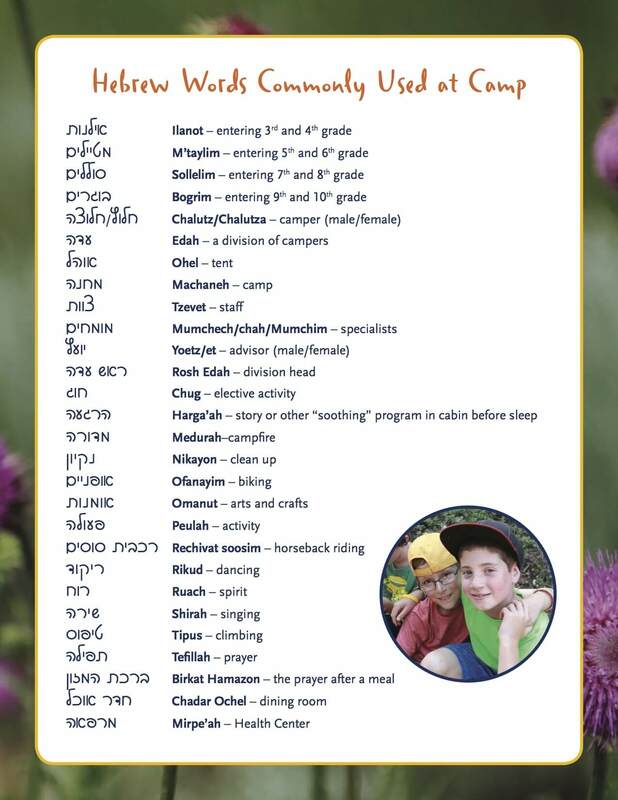 We teach our chalutzim Hebrew via everyday activities and announcements. As an example, in Soosim (horses) kids learn the names of parts of a horse and saddle in both Hebrew and English. Below are some of our most commonly used words in Hebrew, for your reference.